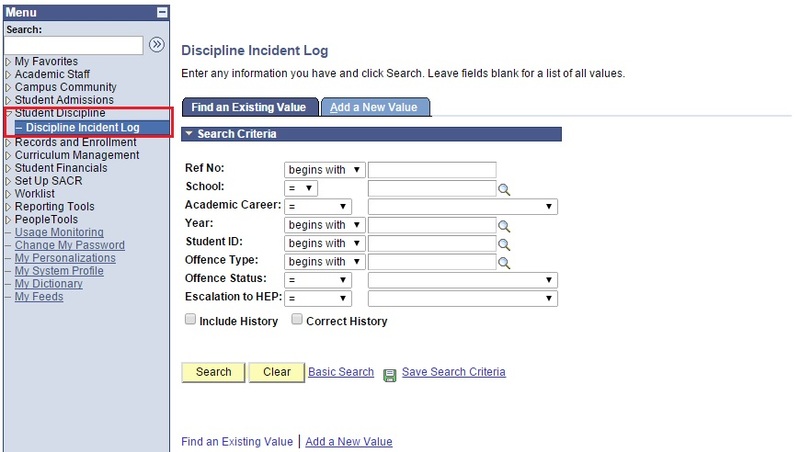 This function allows the users to create incident log for student with disciplinary issue. Class Teacher can only prompt for student that is under their class. 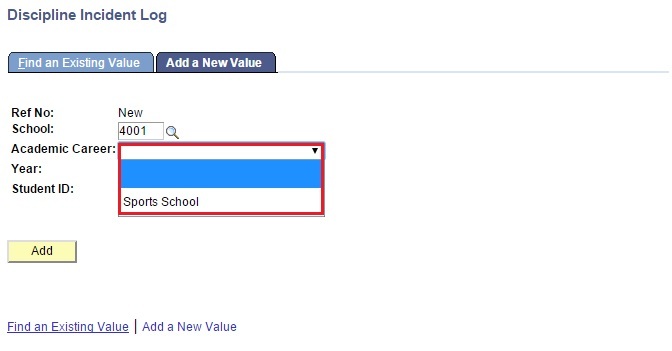 Class teacher can only select Light offence type. 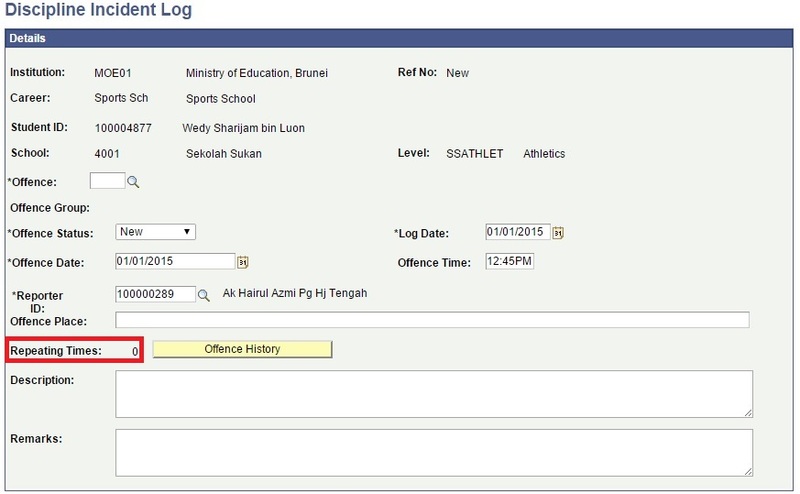 To create incident log for severe cases, class teacher have to report to either : Discipline Teacher, Deputy Principal or Principal so that they can create the log for class teacher. 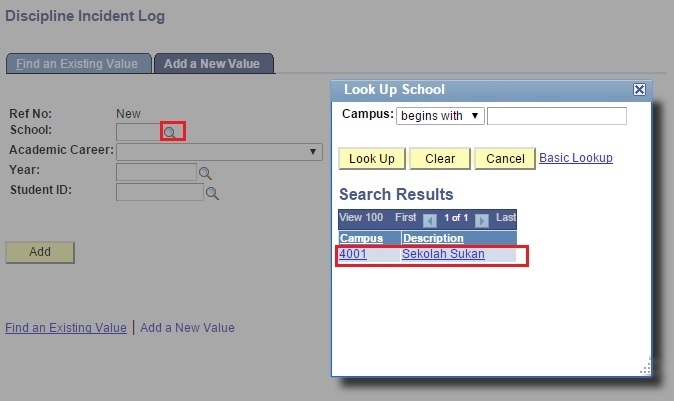 Log Date is the date that the user create the log. By default, the log date will be the current date. 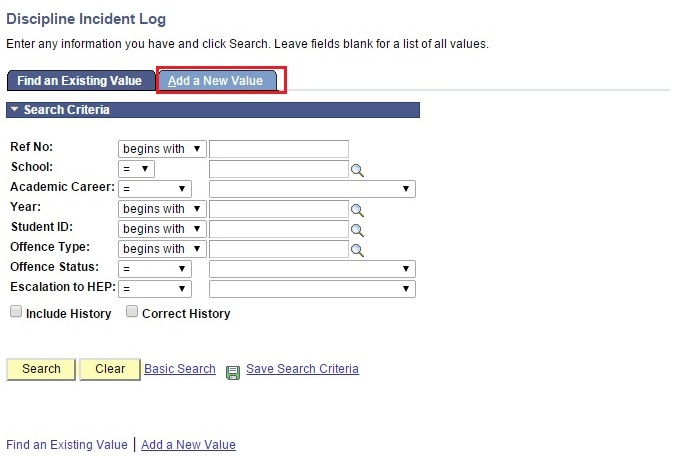 User can change the log date if they wish to. 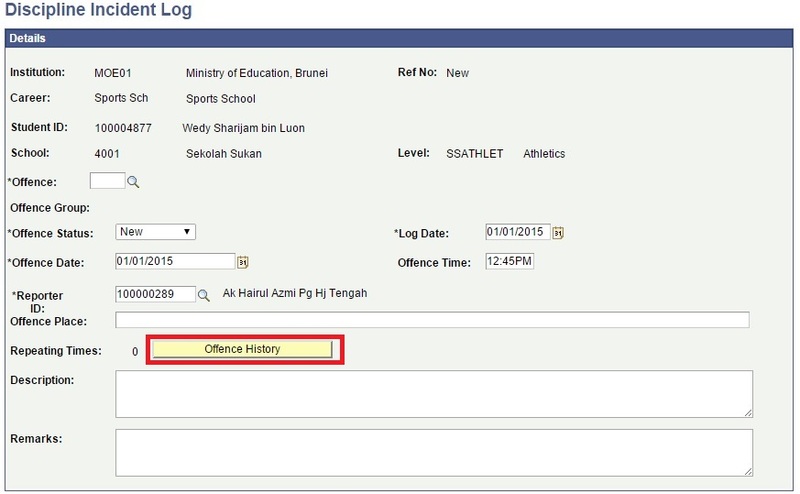 Note: Offence Date is the date that the student caught committing the offence. The default offence date populated by the system is based on current date. If the user wish to change the offence date, they may do so. However, Offence Date shall not be Later than Log Date. E.g: Log date 01/01/2015, Offence Date : 15/01/2015. 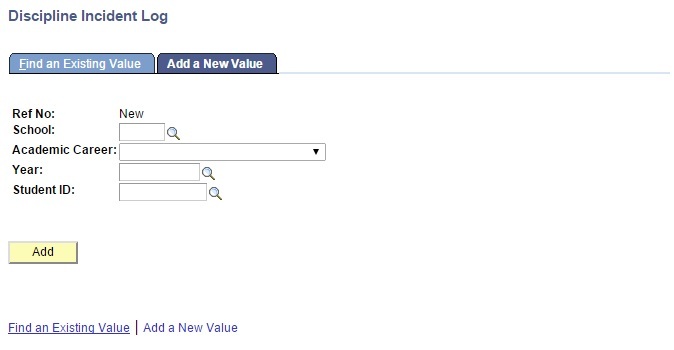 The system will give an error if user try to save this log because it is not possible to create a log that is not happening yet. 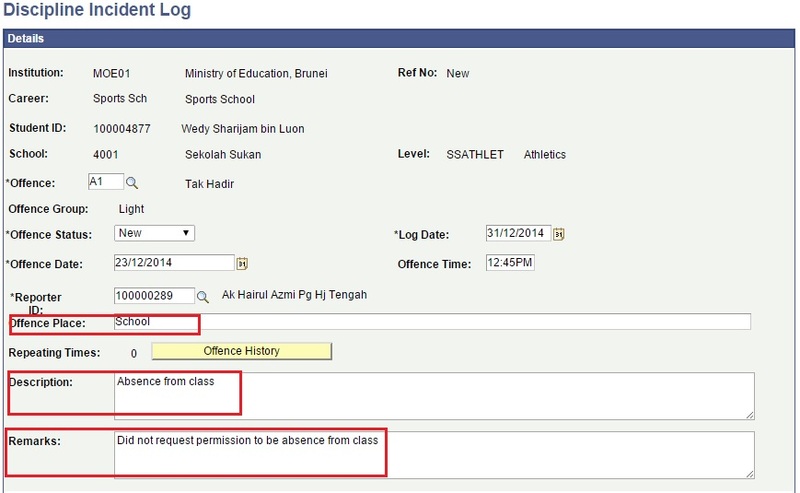 Offence Time = Time that the student committed the offence. By default, the offence Time will be populated based on current time. 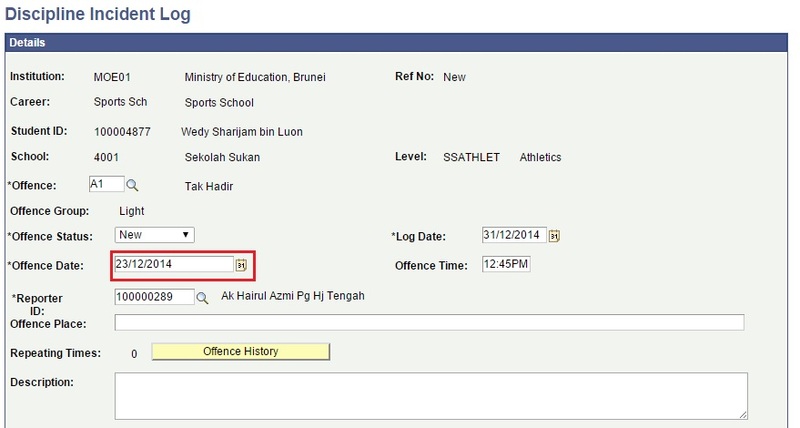 User can change the offence time. 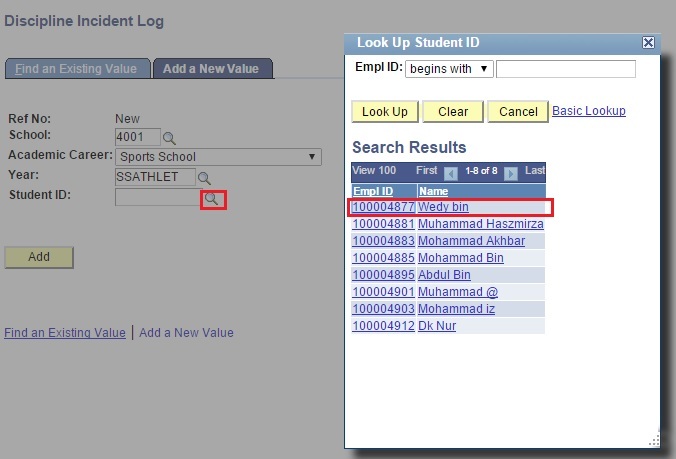 Click Reporter ID look-up button to select the person who reported the case. 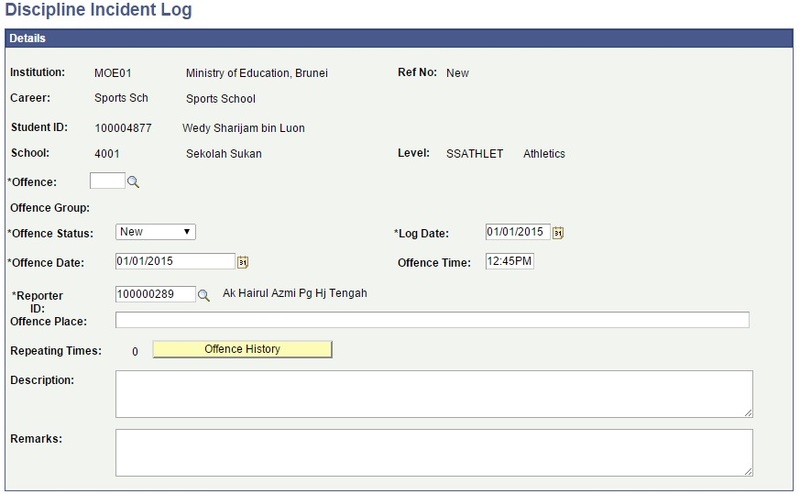 Since Subject teacher will not be given access to create incident log, they will report the case to the Class Teacher or discipline teacher. After that teacher will create the incident log for them. 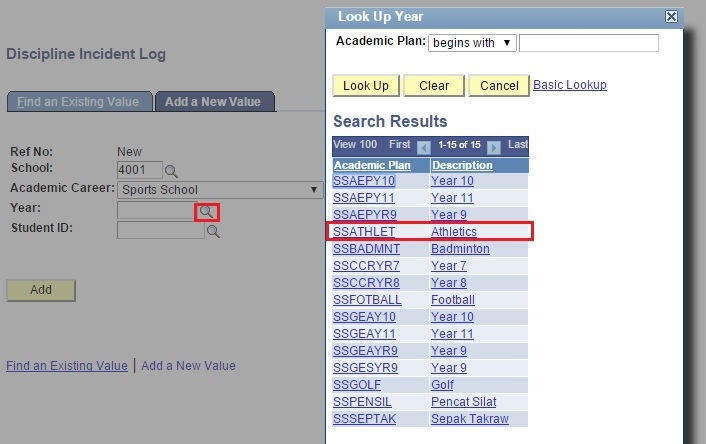 User can look-up all staffs in the school that is currently in the school.